Have been reading this excellent forum for a while, but since yesterday I can finally call my self an owner of a Seal grey 2003 S Manual, black interior with alcantara. Will enjoy some Swedish autumn days on country side roads days before it will rest in the garage until spring. Nice! 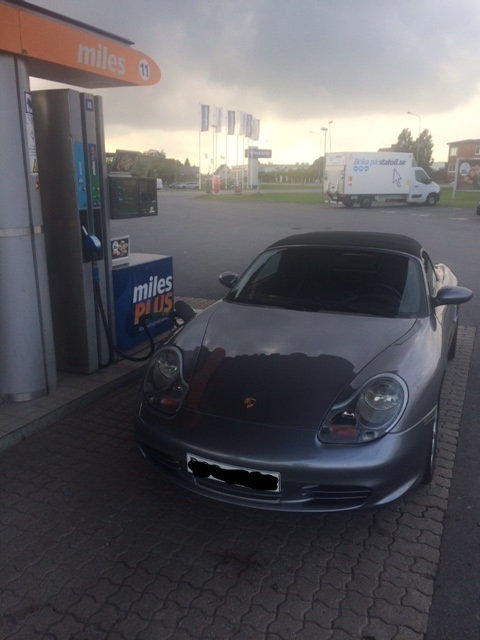 I can recommend joining Porsche Club Sverige, and if you're in the Stockholm area, there's a meetup at Brostugan on Tuesday evening at around 7 p.m. It's the last one for the season. Aha, cheers! I will see if I can make it on Tuesday! Well, I've had my Boxster for a month and a half, so I'm pretty new myself. But welcome to you too. If you make it on Tuesday, look for the yellow one.